Below, you can read about five projects we’re currently piloting. Interested in joining us? We’re looking for research assistants for the fall to help us build these kinds of prototypes through the #ARforChange project. 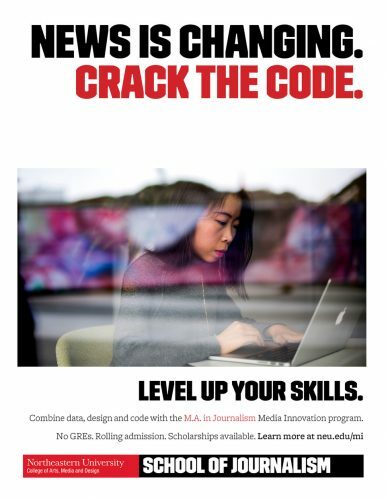 Join through our Master’s in Media Advocacy or Media Innovation graduate journalism program – admissions are rolling and scholarships and research stipends are available. Aleszu Bajak is the #ARforChange project lead – contact him at a.bajak@neu.edu for more information. Thanks to technical lead Jason Duhaime, lead advisor John Wihbey, and advisors Mike Beaudet, Pedro Cruz, Woody Hartzog, Meg Heckman, Dan Jackson, Dietmar Offenhuber, David Tames and Dan Zedek. This prototype, envisioned in collaboration with Northeastern’s Information Design and Visualization program, leverages Google Street View to help contextualize public data and empower audiences and citizens to explore and make sense of their environs with enhanced understanding of public data – which too often can seem abstract and decontextualized. This prototype, built by Yan Wu, embeds restaurant review data in 360-degree video taken in East Boston. 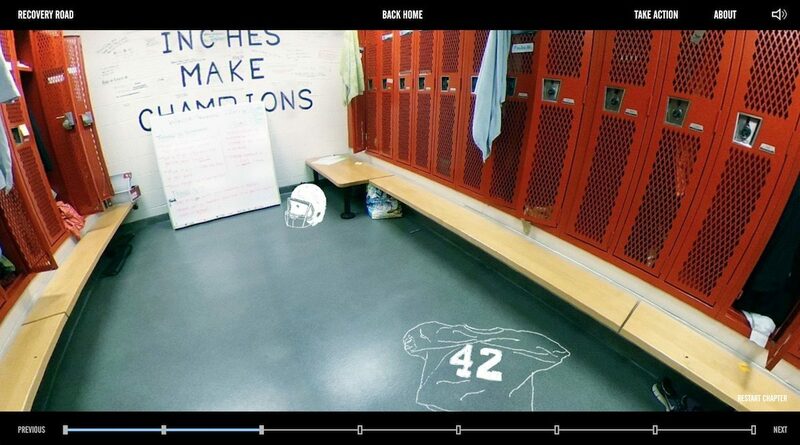 Viewed on a phone, the user has the option to view the prototype as a 360-degree video or through a Google Cardboard viewer. This project is part of Dan Zedek’s “Information Design & Visualization Studio 2” course, where students are using data visualization to examine East Boston from many angles, including public health, affordable housing, livability, development, the environment, immigration, crimes, religion, and more. 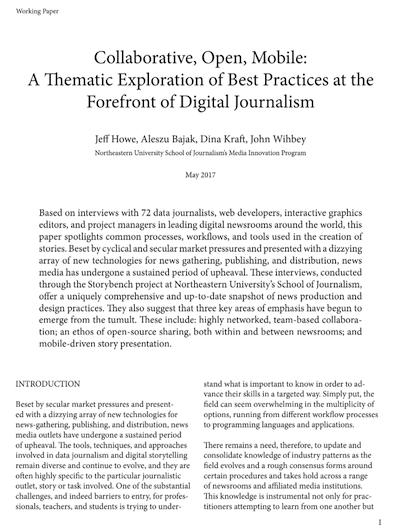 How can journalists or advocates build and deploy maps that convey data and information in the public interest? 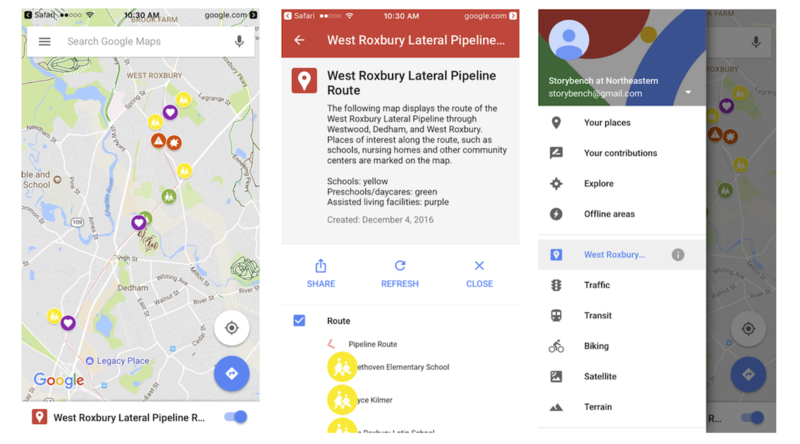 In partnership with WGBH News, Melissa McNickles built a map showing a recently unveiled natural gas pipeline in West Roxbury that superimposed public schools, daycare facilities and other landmarks along the pipeline’s route. We’re interested in exploring the value of these maps for citizens as well as barriers to people using these maps. To see the map on your mobile device, open the map in Google Maps by clicking here. If you’re interested in adding just the pipeline to your Google Maps, click here. As part of journalism professor Mike Beaudet’s “Experimental Video Storytelling” course, graduate and undergraduate students are looking at new ways of telling stories. Will Bryan, Danae Bucci, and Sophia Fox-Sowell are prototyping visual ways to follow Boston area high school students along their long commutes. As part of David Tames’s StoryLab course, students Jennifer Heintz and Suma Hussien developed “Recovery Road,” a web-based interactive documentary that examines Boston’s opioid crisis through the personal stories of recovering opioid users along the portion of Massachusetts Avenue often referred to as Methadone Mile. Using audio interviews, 360 video, illustrated story lines, and ambient sound design, Heintz and Hussien wanted the audience to step into the shoes of someone in the crux of addiction and recovery. This summer, Tames is leading a study abroad program to Canada and England that will engage students in documentary and journalistic storytelling with an emphasis on augmented and virtual reality. Students will complete studio work in Toronto using the city as their studio, after which they travel to England to participate in Sheffield Doc/Fest, home of the Alternative Realities Exhibition and Alternative Realities Summit showcasing the latest non-fiction AR/VR works. Interested in joining us to devise new ways of structuring stories and contextualizing information? Join us for a Master’s in journalism or advocacy or contact Aleszu Bajak at a.bajak@neu.edu.